Allen Miller is the CEO of COPE Health Solutions. 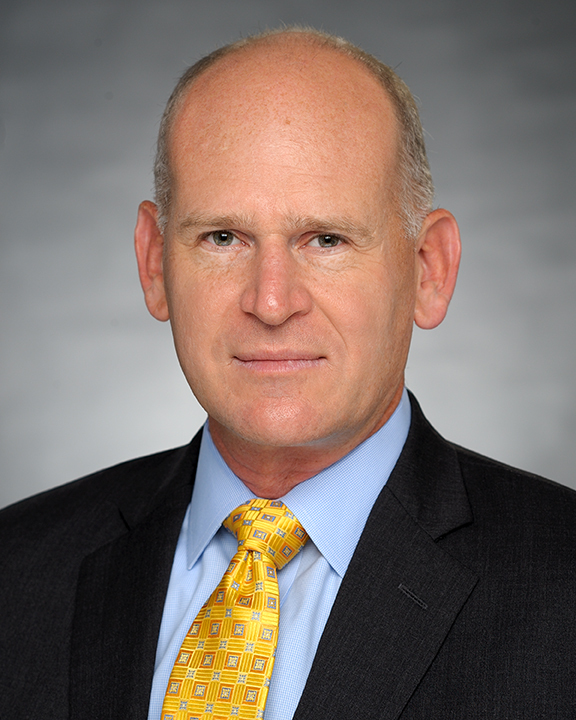 He has over 20 years of experience working in health care through providing strategic planning, business development, operations analysis/improvement consulting services, and leading assessments, planning, development and implementation of integrated delivery networks, for hospitals, clinics, health systems and health plans throughout California and the US. Mr. Miller has led COPE Health Solutions from its inception in 1995 as an all-volunteer community health education group, through its incorporation in 2002 to its current form as a premier health solutions company. Today, Mr. Miller leads a team of dedicated professionals who enable COPE Health Solutions to support government, public and private hospitals, health care systems and other health care entities in designing and implementing innovative solutions for workforce development and health care delivery. Mr. Miller is the driving force behind COPE Health Solution’s evolution toward becoming the premiere source of services that drive change, motivate action and build businesses in the complex health care environment. A hallmark of COPE Health Solutions’ services is engagement in deep strategic planning, design and implementation work with hospitals, physicians, state and local government, health plans, long term care providers and others to develop clinically integrated delivery networks and re-design financial incentives. Mr. Miller and his team are consistently on the cutting edge of work to implement new health care policy, including federal demonstrations and state waivers, by partnering with providers and payers to transform fragmented, acute care “un-systems” of delivery into coordinated systems of care focused on improving the health of populations, while enhancing efficiency and aligning financial incentives. During his tenure with COPE Health Solutions Mr. Miller served under contract as interim Senior Vice President of Strategic Planning and Corporate Development for a three hospital health system in Los Angeles, Citrus Valley Health Partners. In this role, Mr. Miller lead the strategic planning process for the system and its partners, developing a vision for transforming the hospitals and local physician and clinic providers into a more efficient integrated delivery network that can provide high-quality, community-based care, with a focus on prevention, to a diverse community of just under one million people. A graduate of UCLA, both for his Bachelors of Science and his Masters of Public Health in Health Services, Mr. Miller also completed an intensive on International Business at Oxford University in England. Mr. Miller has served in numerous volunteer roles, which include: four years as an orthopedic consultant and trainer at Venice Family Clinic; a team member of the UCLA Medical Relief Team to Albania during the Kosovo War in 1998-99; and a member of a medical and dental relief group for the under-served in Tecate, Mexico. Mr. Miller also has extensive teaching and lecturing experience, most notably as a former faculty member teaching orthopedics for the American Academy of Family Physicians and the California Academy of Family Physicians. Mr. Miller currently serves on the St. Mary Medical Center Hospital Community Board, the YMCA of Metropolitan Los Angeles Board of Directors and sits on the Advisory Boards for The Health Forum at UCLA, Health Career Connection, and the UCLA School of Public Health Department of Health Services.